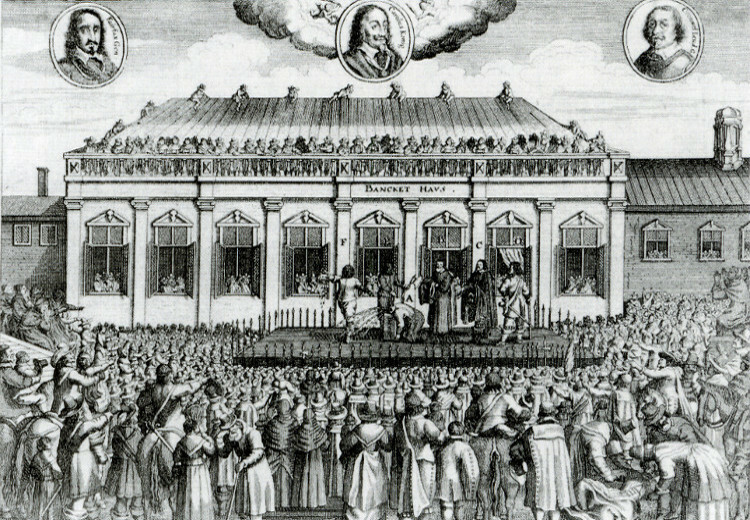 This year sees the 370th anniversary of the execution of Charles I on 30 January, 1649, an event which was, by law, commemorated annually for almost 200 years. Charles’s biographer, Leanda de Lisle, writes about the day they killed a king. Those who had ordered the King’s beheading felt differently. They were afraid: worried how the people of London would react when the grim ritual of the execution was enacted. Already there had been widespread anger expressed against the trial of a King. In English law, treason had always been understand to be an action against the king, not by him. The only precedent for the execution of a monarch was that of Charles’s grandmother Mary, Queen of Scots. In 1587, law, history and fact had been twisted to argue that a Scottish monarch owed the English monarch a duty of obedience. It had allowed Mary to be found guilty of treason against her Tudor cousin, Elizabeth I. Now law, history and fact were being twisted again to argue that a king could commit treason against his people. It smacked of victors’ justice. 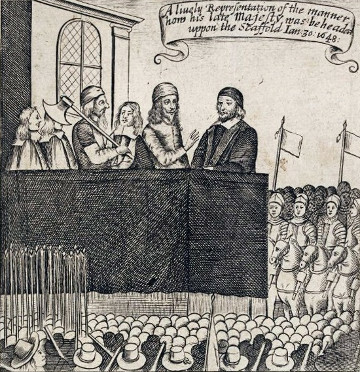 The Scots – whose king he also was – had sent official delegations to plead for his life. So had the French – for his wife, Henrietta Maria, was in Paris and Louis XIV was her nephew. The Dutch had done so too: Mary, Princess of Orange, was Charles’s eldest daughter. But their pleas had been to no avail. Charles had been allowed only to choose the hour of his death. When the call came he smiled and took the hand of the former Bishop of London, William Juxon. They walked through the frosted garden and into St James’s park, where two regiments of foot were drawn up on either side. A guard of Halberdiers went before him and others behind. The drums were beating so loudly no one could hear anyone speak. After the Reformation Christians on either side of the new religious divide had argued had that rulers drew their rights from the people, so the people had the right to overthrow any of the wrong religion. This had justified assassinations, subversion and civil wars. Charles’s father, James VI and I, had made the counter-argument that kings owed their rights to God alone – divine right kingship was supposed to have been a protection against religious justifications for violence. As they reached Whitehall Charles was taken to one of the smaller rooms and had a last meal of bread and wine. 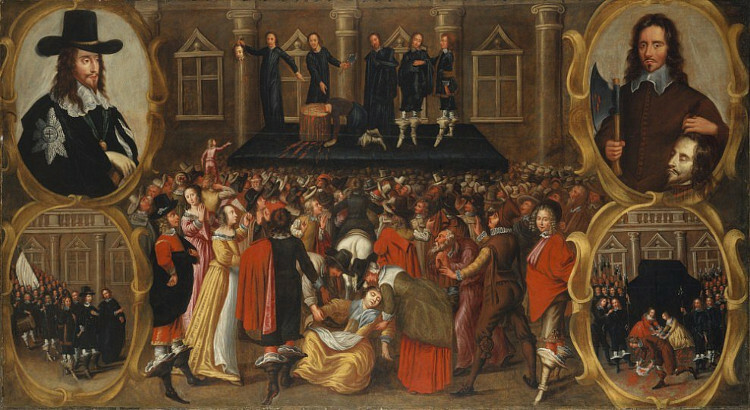 Just after two o’clock he was brought back through the Privy Gallery and into the Banqueting House. He walked below the famous Rubens ceiling celebrating the Stuart dynasty and advocating their divine right to rule. As Charles walked the length of the room, a line of soldiers held back a crush of people who were praying for him. At the north end of the room the transform and mullions of one of the windows had been removed to create a door. From here he stepped down onto the black floor of the scaffold. At his left knee, a garter band flashed diamonds. 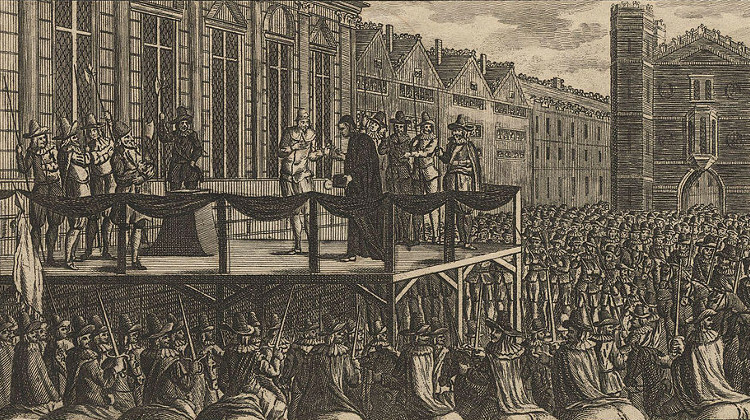 To one witness, watching from a nearby rooftop, it seemed Charles showed “the same concernedness and motion as he usually did” years ago at the Banqueting House “on a masque night”. The scaffold was his stage in this theatre of death: every gesture he made, every detail of what followed, would be remembered and would impact on his heir’s chances of being crowned. Standing in the bright light of that cold day he sought out his audience. The crowd had been pushed far back so they could not hear anything Charles would say. The confined space had also ensured their numbers had been kept low. On the scaffold itself there were more soldiers, but it was the executioner and his assistant who stood out. They were dressed in wigs and sailors’ costumes, their faces masked with fishnet. The executioner had even added a false beard. He was taking no chances that he might be recognised and later lynched. Charles walked to the middle of the scaffold and looked “very earnestly” at the block. There were ropes and chains in case he struggled. The block itself was scarcely more than a hewn log on the ground, 18 inches long by six in height. He would have to lie flat. Charles asked “if there was no higher?” It was explained that this was what an efficient block looked like. Mollified, he took out the notes for his speech. “I shall be very little heard of anybody here, I shall therefore speak a word unto you,” he said to those on the scaffold. As he spoke his words recalled the standard he had raised at Nottingham in 1642 at the outbreak of civil war, with its phrase: Give Caesar his due. “God will never prosper you, until you give Him his due, the King his due (that is my successors) and the people their due. “There is but one stage more,” Juxon reassured his king, and Charles responded: “I go from a corruptible to an incorruptible crown where no disturbance can be” (a martyr’s crown). “It is a good exchange,” Juxon confirmed. Charles was prepared. His last words would be for Juxon alone. He took off his cloak and handed his Order of the Garter to the bishop, who was to give it to the Prince of Wales. “Remember”, he said to Juxon. Charles lay down flat and put his head on the low block. A doctor who had a good view said he caught the king’s eye, which was “quick and lively”. A royalist, writing much later, said the crowd then gave up a “groan as I have never heard before and I desire I may never hear again”. In truth, not everyone was saddened. An officer cut the diamond garter from Charles’s left leg. “His hair was cut off. Soldiers dipped their swords in his blood” and swore at his body. Parliament and the army now had to ensure there was no doubt that Charles was dead. There had been uncertainty in the past over the fate of overthrown monarchs. Such questions had fuelled revolt against the rule of their successors. The King’s body had to be seen. A surgeon had therefore been employed to embalm the king’s corpse and sew his head back in place. He described the task as like stitching the head back on a goose. 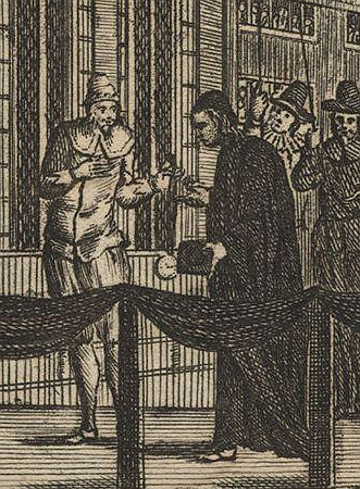 People paid a ha’penny to view his work, and Charles’s body, at Whitehall. In the days that followed others then queued to see it at St James’s Palace. 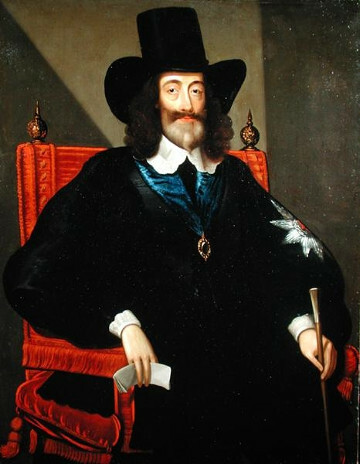 A contemporary witness later claimed the dead king’s was smiling, as “perfectly as if he were alive”. In fact, far from smiling, it was bruised. The executioner’s assistant, who had held up the decapitated head for the crowd, had dropped it heavily. But the bodies of martyrs are said to defy the brutality of their end, and it was as a martyr this witness was remembering his king. On the streets Charles’s last testimony, the Eikon Basilike or Royal Portrait, was running off the presses. The first copies were already on sale, promoting him as a ‘martyr of the people’ who had died for liberties and the Protestant religion. There would be 40 impressions and issues in 1649 in England alone, and twenty more in Latin, Dutch, French, German, and Danish. 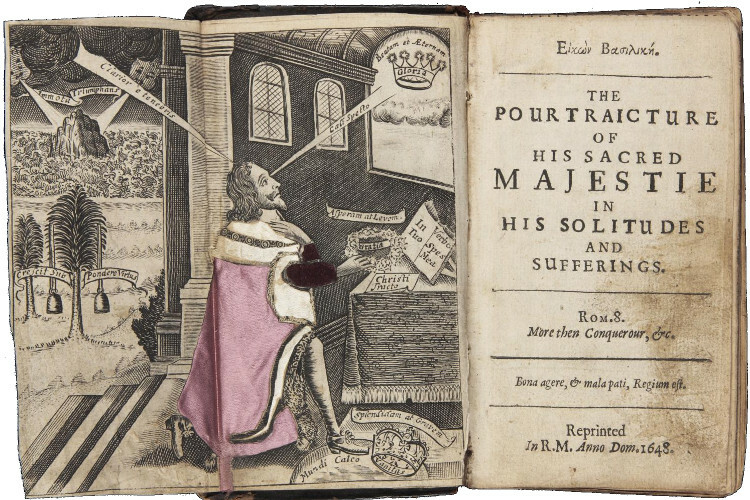 The book helped to keep the royalist cause alive. In France, Louis XIV’s mother, the regent Anne of Austria, described Charles’s fate as “a blow, which ought to make all kings tremble”. It didn’t, perhaps because in 1660 Charles’s son, Charles II, was restored to the throne. 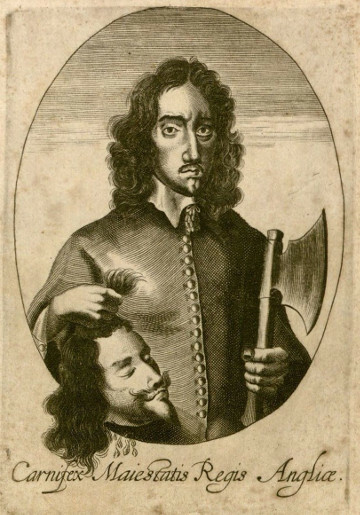 But Charles I was not to be the last king to lose his head at the hands of his own people. Leanda de Lisle is a best-selling historian and biographer of the Tudor and Stuart eras. 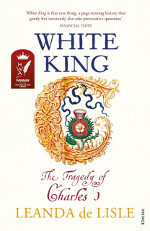 Her latest book, White King, is an acclaimed biography of Charles I and his loss of three kingdoms. It won the HWA Non-fiction Crown in 2018.